Arriving 30 min. prior to your appointment will allow a stress free check in, an opportunity to warm up in our Eucalyptus Steam Room and a relaxing herbal foot soak compliments of Atlantis Day Spa. Deep-tissue massage is a specific type of massage therapy using deep finger pressure and slow, firm strokes, concentrating on the deep layers of muscle and fascia in the body. Your Luxurious Massage Journey begins in a warm foot bath of Phyto-bain to stimulate all your senses. Your spa practitioner will provide a beautiful full body massage utilizing a specialized nutrient rich massage medium with your choice of luxurious blended oils to target specific concerns. Choose from: Detox, Relax or Energize. A complete sense of well being that leaves you feeling invigorated and energized. All three luxury blends are Nourishing, Regenerating, high in Anti-oxidants, preservative free, paraaben free and 94% of ingredients are of natural origin. #1 Detoxifying and Nourishing: Blended Essential Oils of Rosemary, Sage, lavender, Petitgrain, and Everlasting with Vitamin E in a base of Soybean Oil. #2 Relaxing and Nourishing: Blended Essential oils of Vervain, Petitgrain, and Lavender with Vitamin E in a base of Soybean Oil. #3 Energizing and Nourishing: Blended Essential Oils of Basil, Rosemary, Eucalyptus, Spanish Marjoram and Lemon with Vitamin E in a base of Soybean Oil. All three luxury blends are nourishing, regenerating, high in anti-oxidant, preservative free, paraben free and 94% of the ingredients are of natural origin. Hot Stones are used to warm your muscles before expert hands provide a relaxing massage, that relieves every ounce of tension. An invigorating back scrub finishes your treatment, allowing you to feel completely revitalized. Stress relieving hot oil is slowly poured over your scalp. 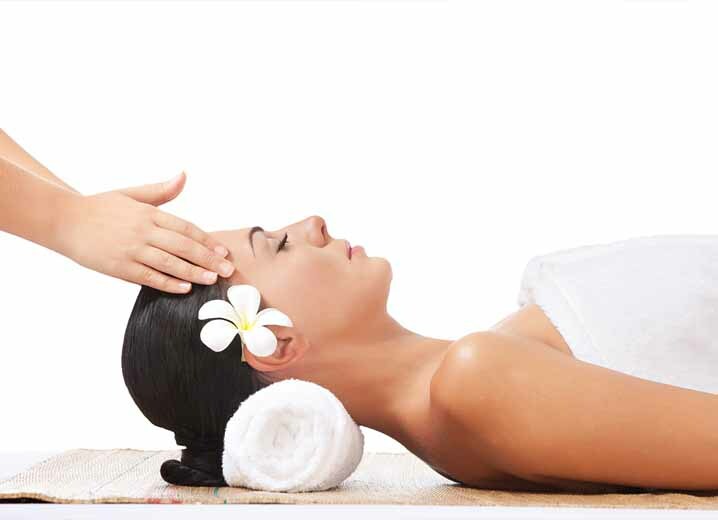 After a relaxing head massage, hot towels cradle your scalp while gentle hands massage your shoulders and arms. A thorough cleansing and exfoliation prepares the skin for a nourishing and relaxing facial massage. This Facial is designed to be added to any massage or body treatment, or great as a quick pick-me-up on its own. Relax and unwind in our eucalyptus steam room. The Steam Room is complimentary with any massage, body treatment or facial.